Bought my Texas Elite 34 Traeger pellet grill last summer at Oshkosh Fly-in. Received it and assembled it with no issues. 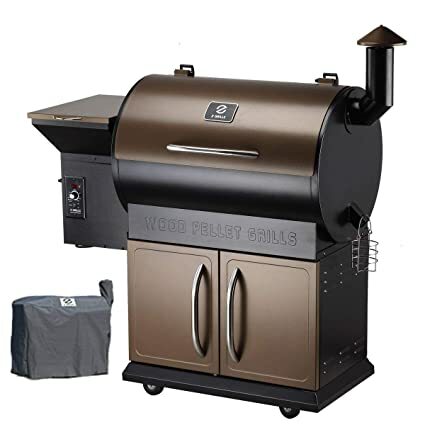 Began using it and discovered it will not make temperatures above 375 deg F. Most of the Traeger recipes need 400+ deg, so this wouldn't work. Called Traeger. They started sending me replacement parts, first the combustion air fan, then the auger motor, then a digital temp controller. None of these new parts had any effect on the problem. I have probably called Traeger 10 times, finally getting a hold of a second level supervisor named Jessie. He decided to send me a whole burner module; pellet hopper, auger tube, burner bowl, fan, controller... everything in one assembly. I installed it and no improvement. I did a time vs temp test for them at their request. They finally agreed it wasn't working properly. Moving on from the orangish-red looks of the predecessor RT-680, this newer model has a black hood, with stainless steel built. It is 2.5” taller than the RT-680 and has 2 stainless steel bull horn handles on the outside that will have you falling in love with its built. Everything from the towel rings, the controller shelf, the hopper lid to the spill-proof bucket hook is stainless steel and even the smallest of details like the laser cutout of “Rec Tec Grills” on the side will never fail to impress.